ZP17D rotary tablet press is a singlepress type, continuous automatic tablet press for pressing granular raw materials into tablets. ZP17D rotary tablet press is mainly used in pharmaceutical,chemical, food, electronic, plastic and metallurgical industries. 1. The outside part of the machine is fullyenclosed, and it is made of stainless steel, meeting the G.M.P requirement. 2. ZP17D rotary tablet press has transparent windows so that press condition can be observed clearly and the Windows can be opened. Cleaning and maintenance is easier. 3. The machine can press not only round tablets but also different geometrical shape tablets, double-layer and annular tablets, and the tablets may have the impressed letters on both sides. 4. All the controller and devices are located in one side of the machine, so that it can be easier to operate. 5. An overload protection unit is included in the system to avoid the damage of the punches and apparatus, when overloaded. 6. 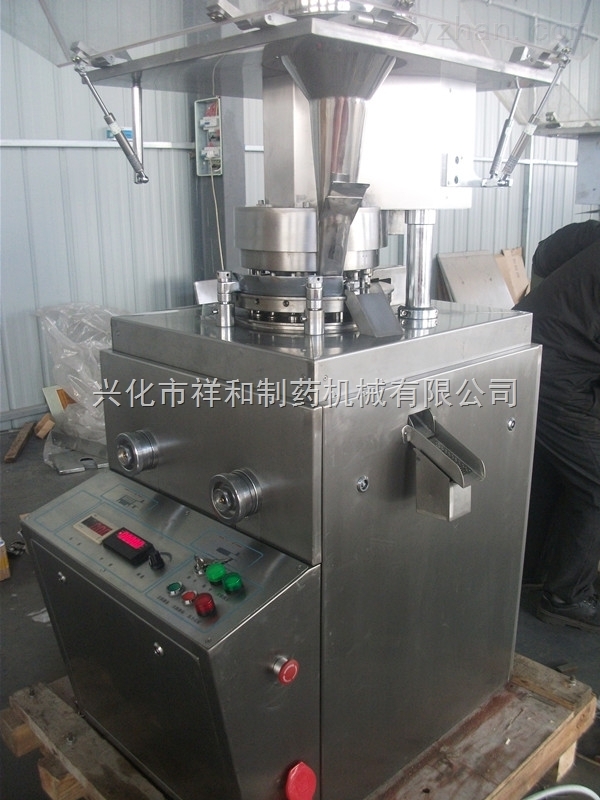 The machine's worm gear drive adopts fully-enclosed oil-immersed lubrication with long service-life, preventing cross pollution.Tablet press, is also can be called as tablet press machine, pill press machine, tablet compression machine and tablet making machine, is for pressing powder raw materials into tablets. 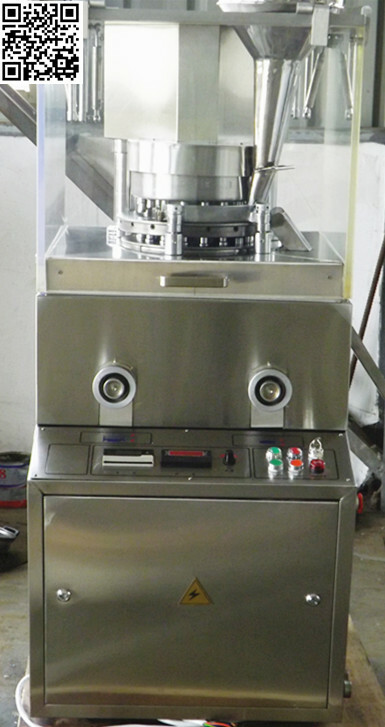 s automatic tablet press for pressing granular raw materials into tablets. ZP17D rotary tablet press is mainly used in pharmaceutical,chemical, food, electronic, plastic and metallurgical industries.